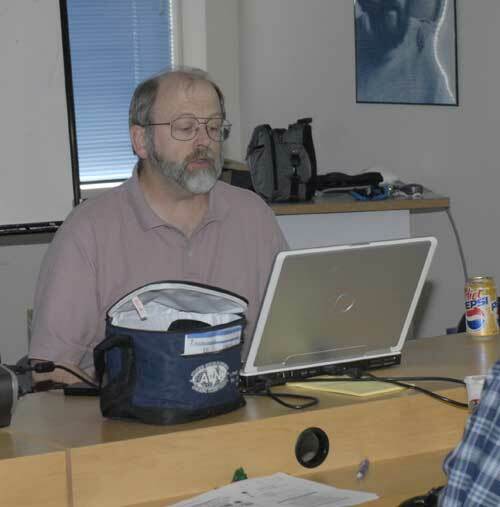 Continuing with Color Management - Part II, on June 9 at Mac Business Solutions, Gaithersburg, Michael Glagola outlined this session's goals as follows: to provide a 'practical' understanding of Digital color, Color Spaces, ICC Profiles, and of how to implement a color-managed workflow. He began by observing that color perception has both objective and subjective components, and that to get consistent color it is important to standardize your color management process. The goal of color management, he pointed out, is to enable the physical devices in a system to display the colors of an image as close to each other as possible, and as close to the image's working color space as possible. This is possible with ICC profiles which are the standard for how digital devices, such as cameras/printers, etc., communication color information to each other. The profiles are the key to matching color, and achieving consistent results. Just what 'profiles' and 'color space' are, and how they relate to each other and to the difference devices in the work flow, provided a lively, and most interesting discussion. Pointing out the 'monitor calibration' is 'the' most important component of color management, he suggested that while 'eye ball calibration' has the virtue of being 'free', it was worth essentially what you paid for it; and that while a hardware calibration device might add costs, it makes little sense to buy expensive cameras/printers, etc., and then skimp on the one tool that offers the largest payoff in terms of achieving objective and reproducible results. Select and set the printer's profile, being sure to disable the profile in the printer's driver to avoid conflicts. 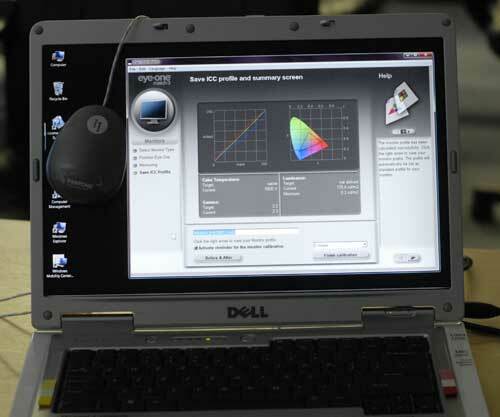 In summary, Michael concluded that color management is the key to achieving consistent results; that profiles define how devices display color; that with a properly calibrated monitor, it is impossible to consistently achieve good quality color results.